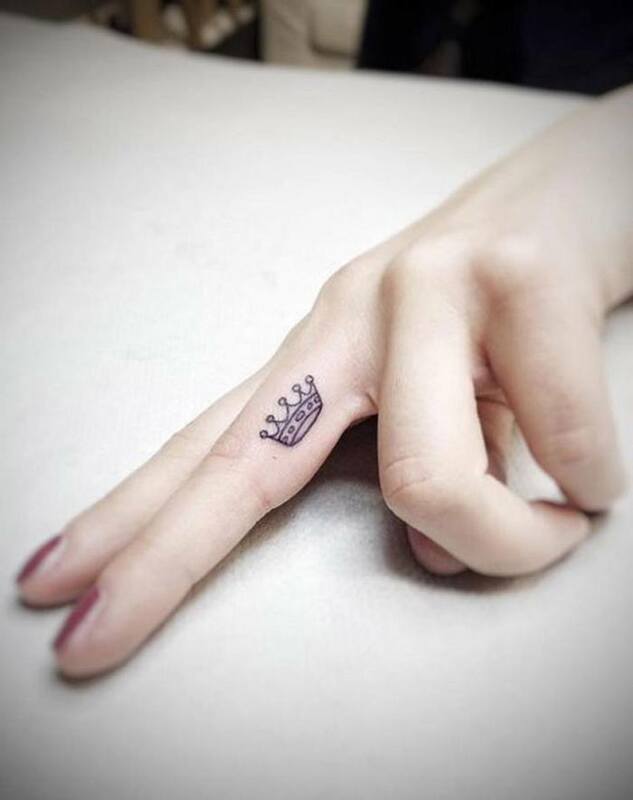 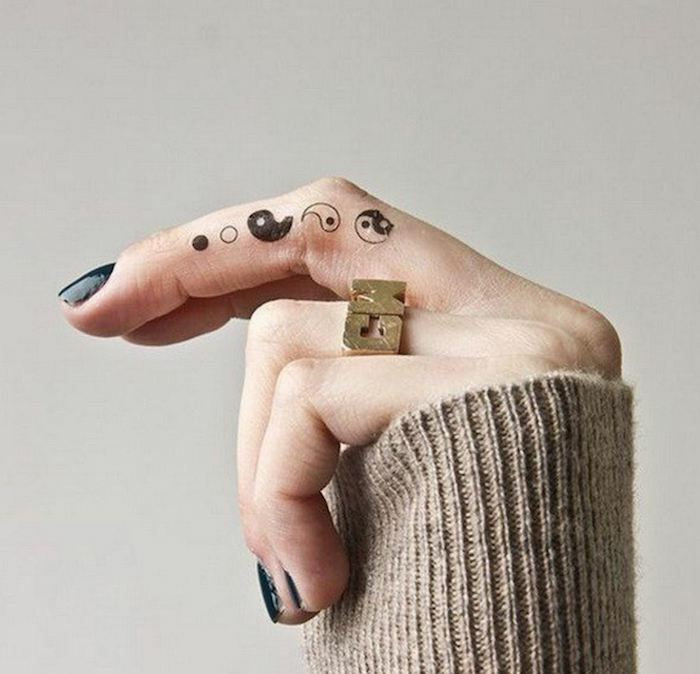 In this article you will find over 70 cool ideas for a finger tattoo. 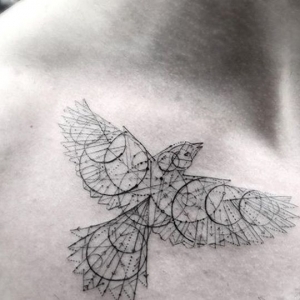 So, find out what the most popular of them mean and get inspiration for your next tattoo. 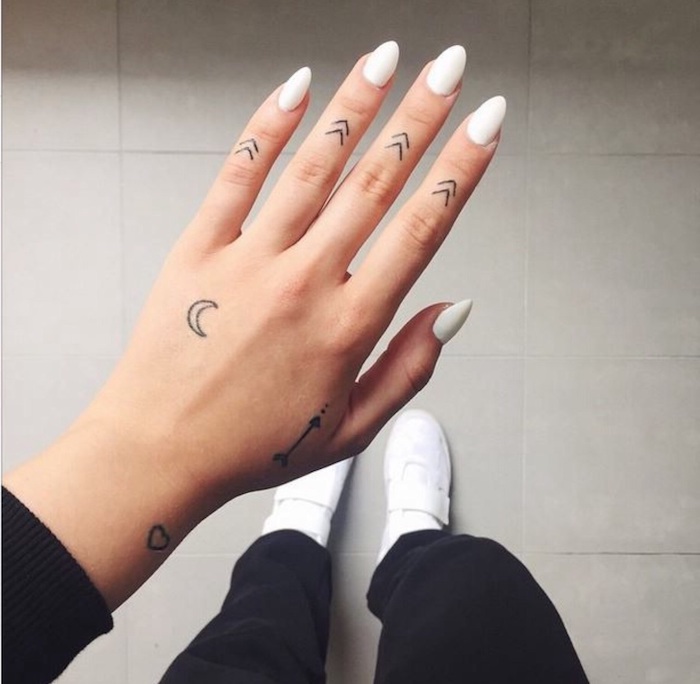 Moon – The moon tattoos have multiple symbolic meanings such as reverie, magic, feminine, dark side and alternation. 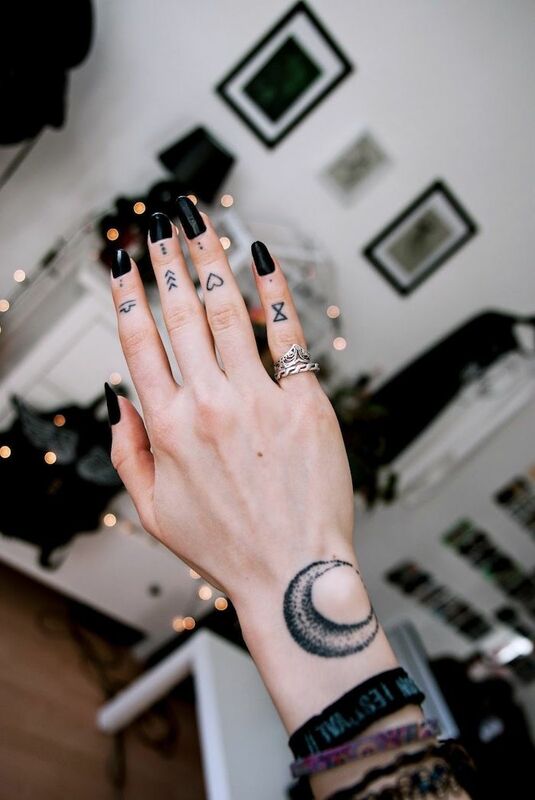 In addition, every single phase of the moon has a different interpretation. 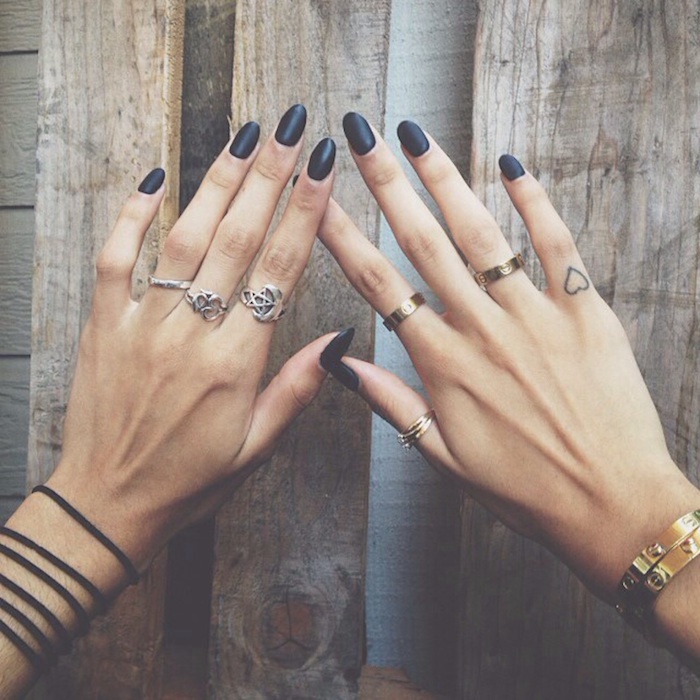 The full moon, for example, stands for perfection and realisation. 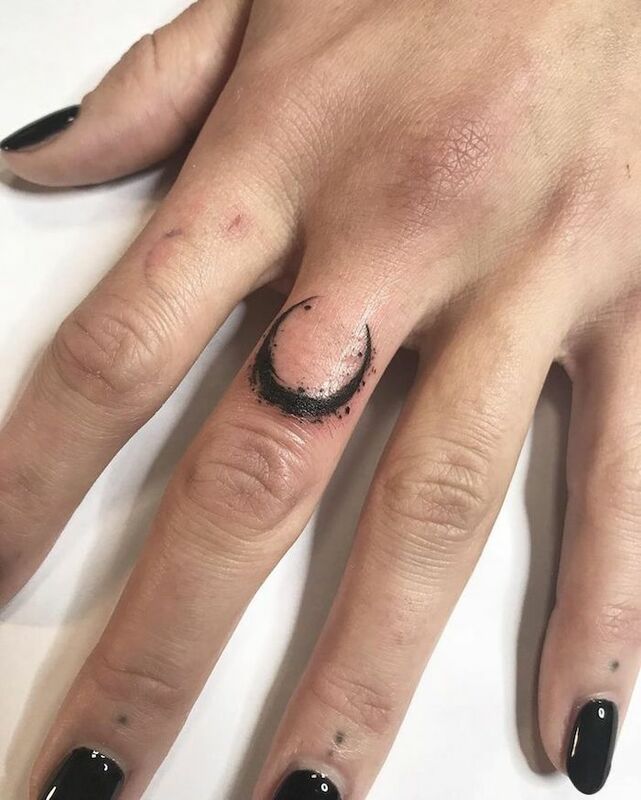 On the other hand, the new moon stands for new beginning and growth. 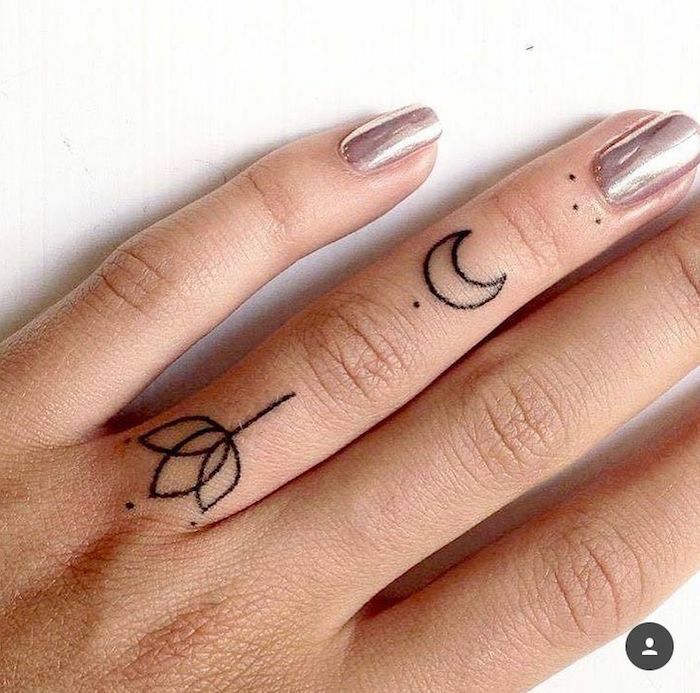 While the waning moon means separation and farewell and the increasing for fertility and healing. 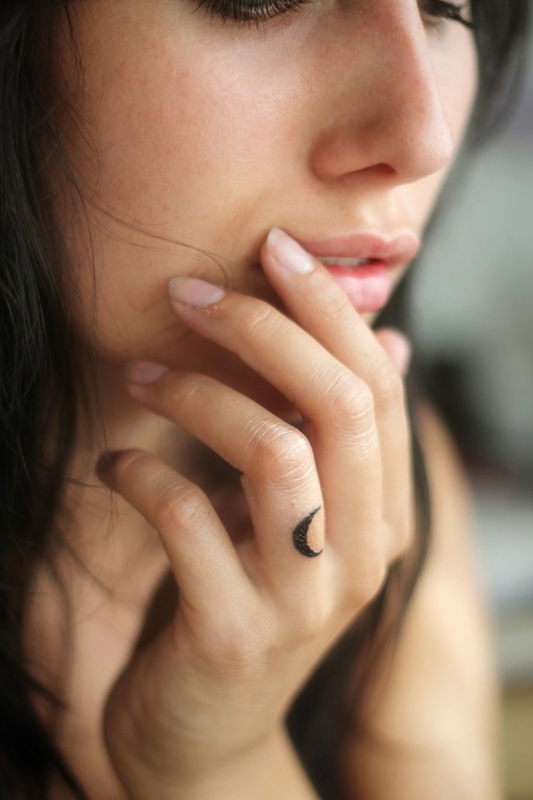 The moon tattoos are mainly favoured by people who believe in fate and chance. 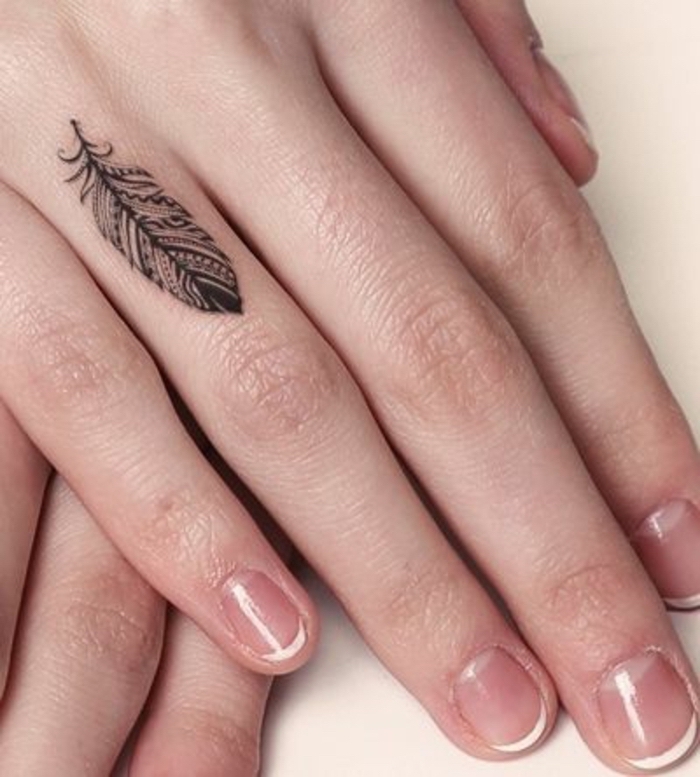 Feather – The feather tattoos are above all a symbol for freedom and informality, as well as for creativity and intelligence. 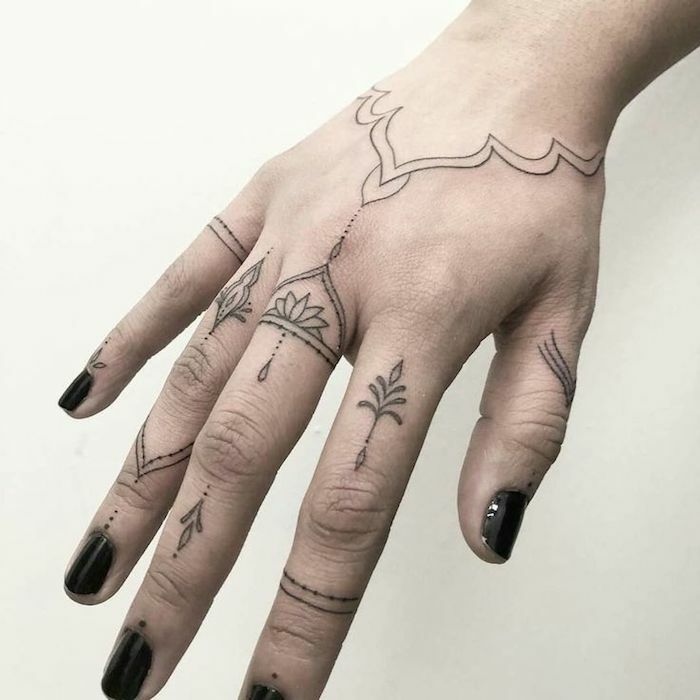 In different cultures and religions this motif is interpreted in different ways. 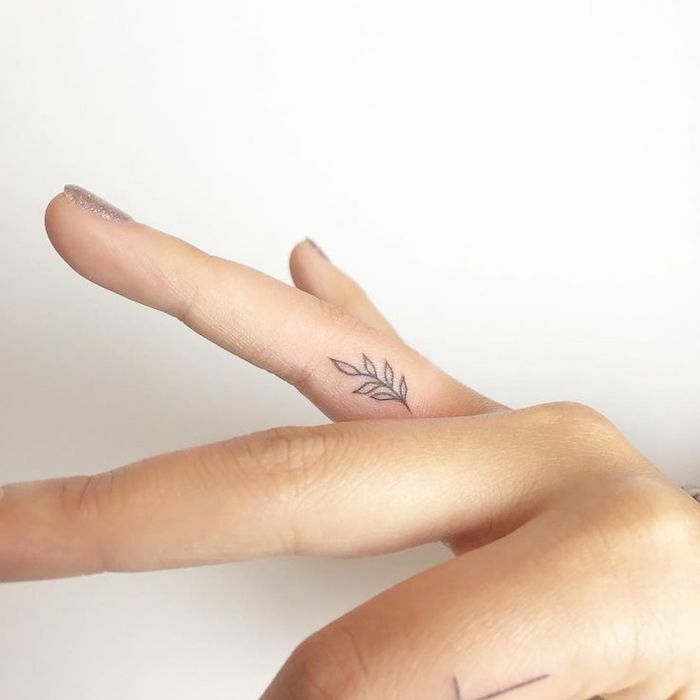 In Christianity, the spring is associated with angel wings. 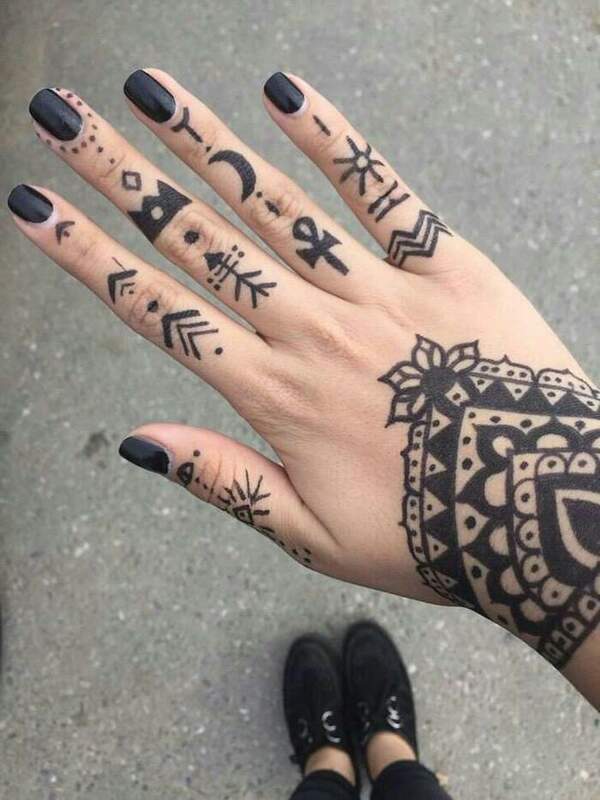 For the Celts it was considered a sign of holiness, for the Egyptians for truth and for the Buddhists for sincerity and honesty. 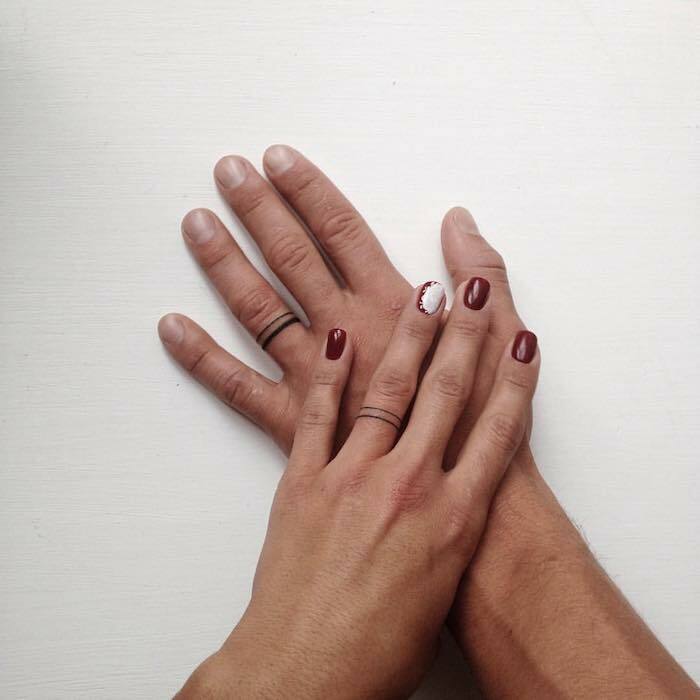 The Romans associated her with Juno, goddess of marriage, birth and caring. 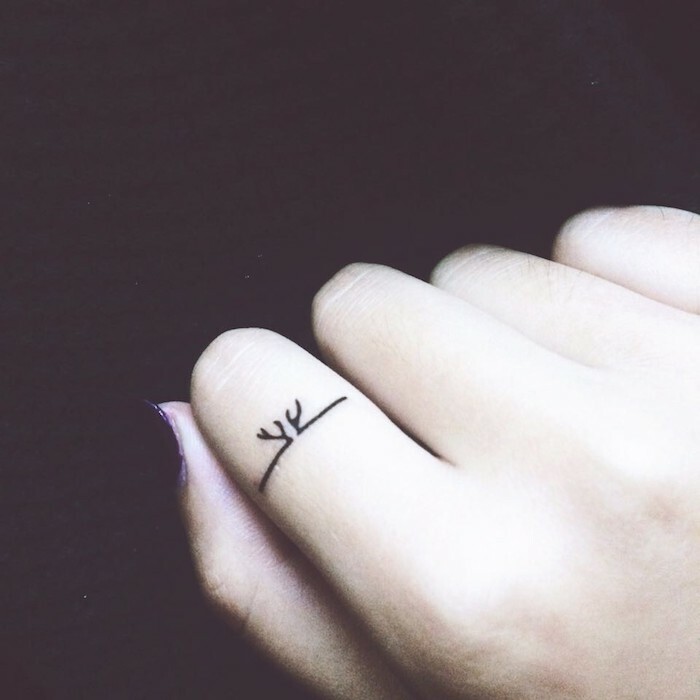 Eye – The eye is generally considered an expression of the mind and the soul. 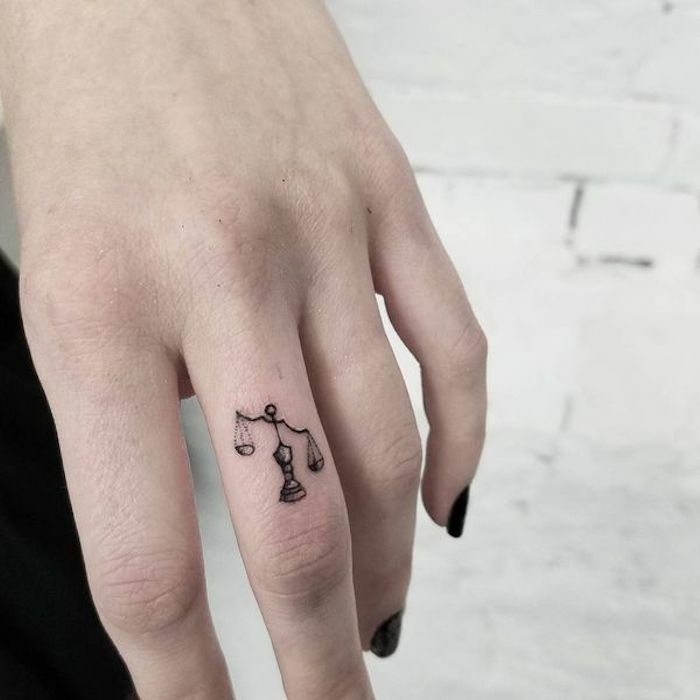 It also stands as a symbol of truth and knowledge. 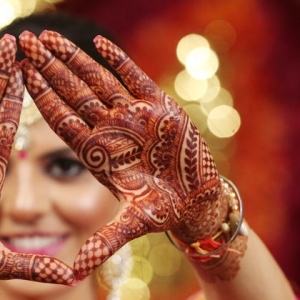 Like the other motifs that we have presented, the eye also has different symbolic meanings in each culture. 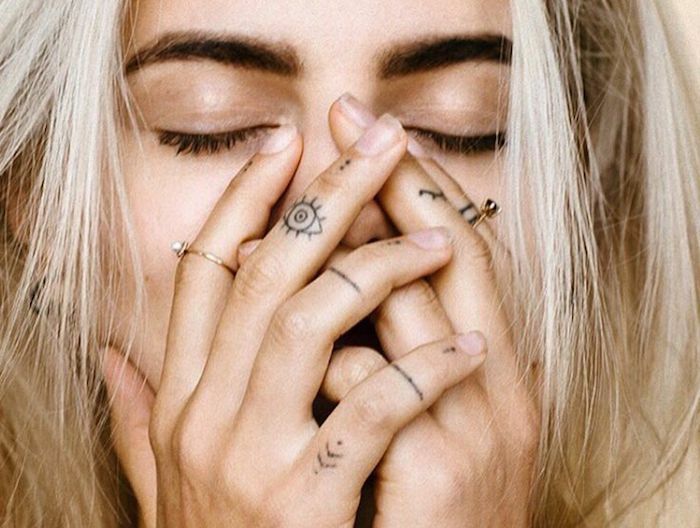 In Turkey and Greece, for example, it is believed that the blue eye helps against the evil eye. 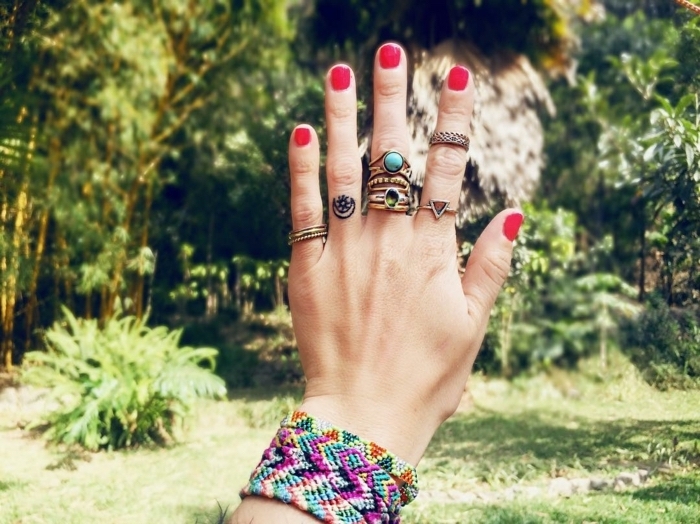 In both countries, the so-called Nazar amulets (blue eye-shaped glass amulets) are very common. 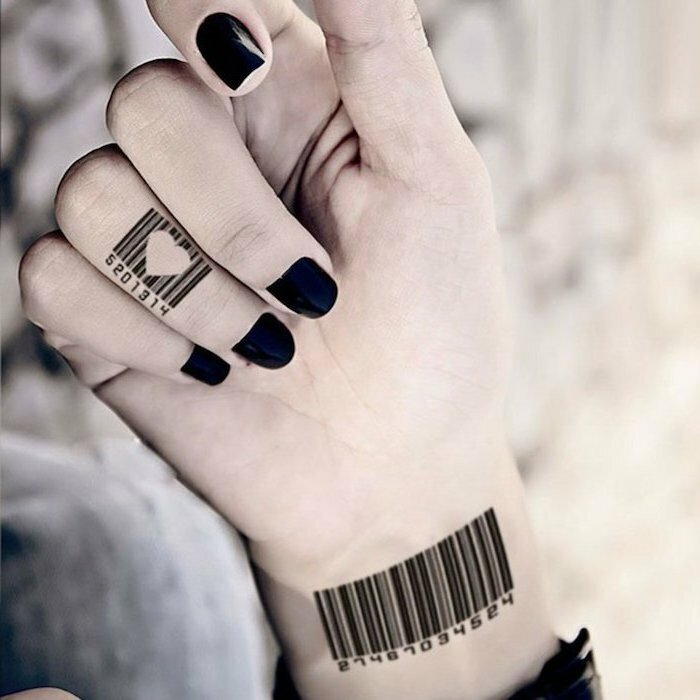 They are worn as pendants on necklaces, hung in cars on the rear-view mirror and in apartments above the front door. 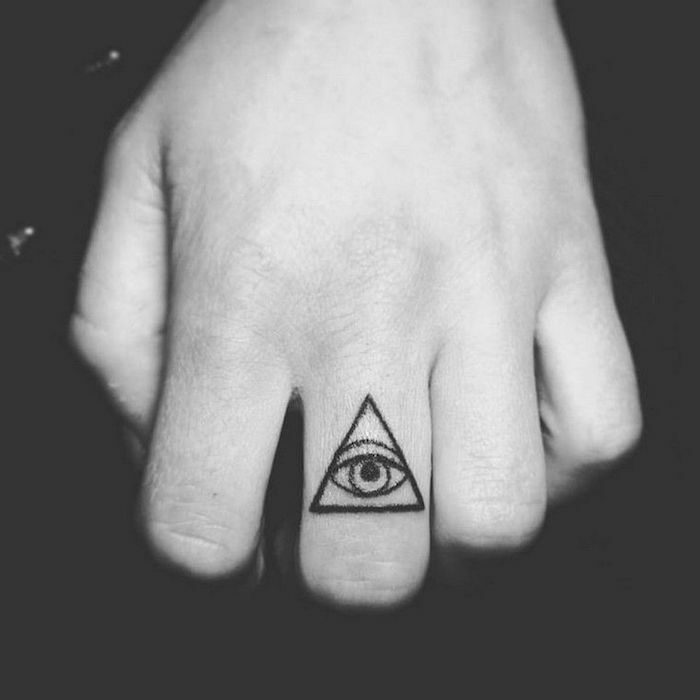 Particularly popular as a tattoo motif is the Eye of Providence, also called all-seeing eye. 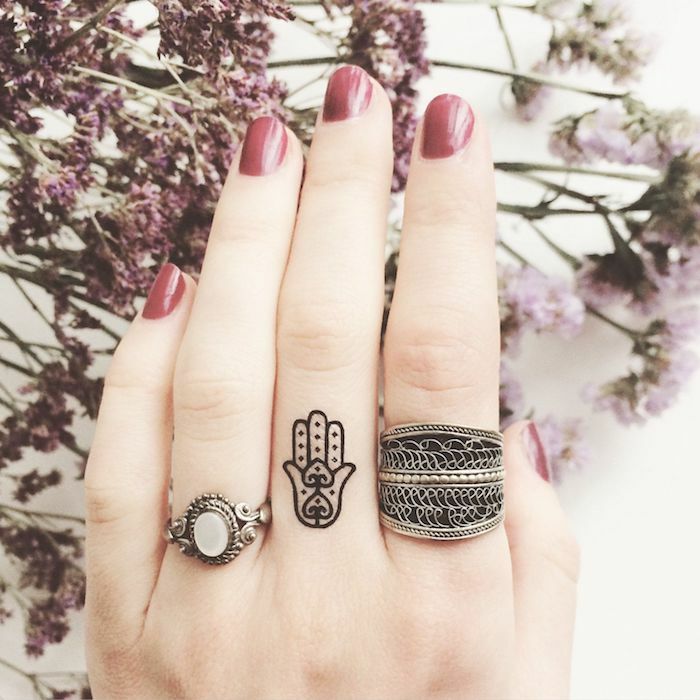 It represents the eternally watching God and is surrounded by a radiant wreath and surrounded by a triangle. 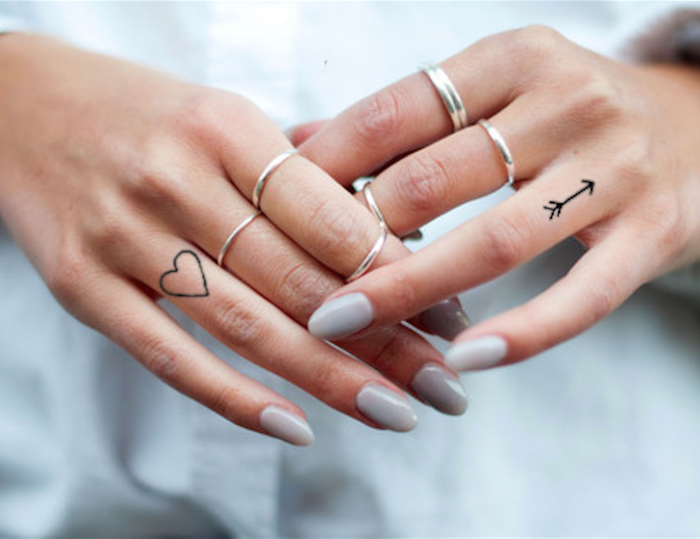 Heart – The heart tattoo symbolises above all love and vitality. 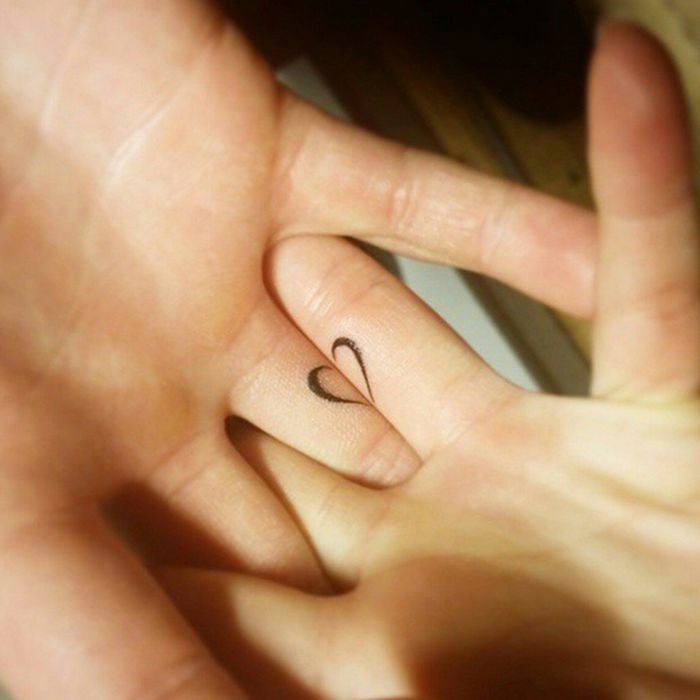 But the different templates of the heart tattoo have different meanings. 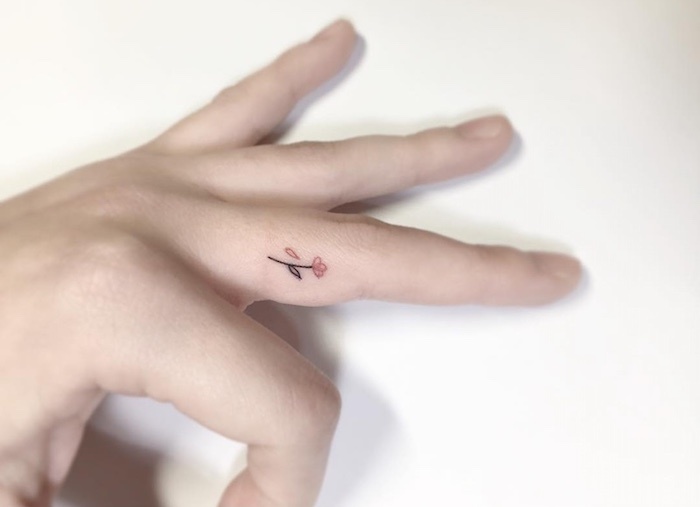 Heart with flame stands for strong love, infinity heart for infinity. 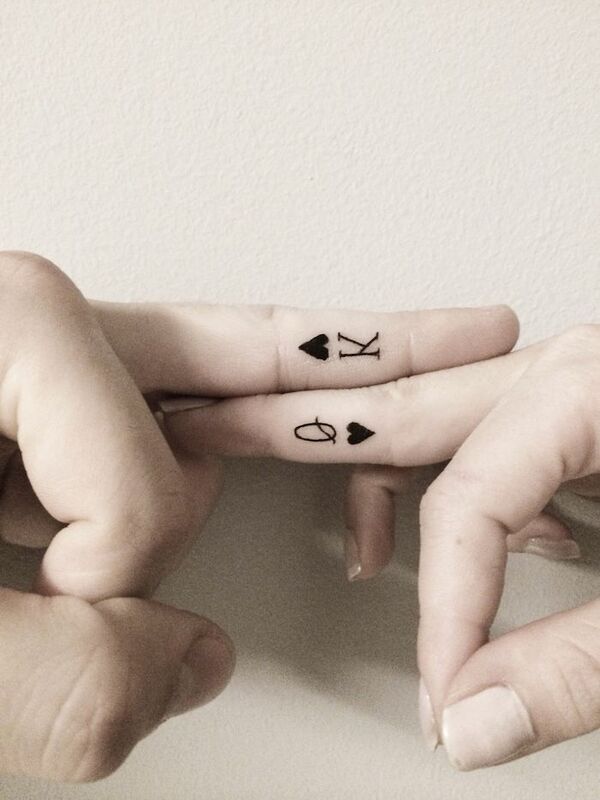 What’s more the broken heart stands for sadness and heartache, while the heart with dagger means disappointment in love. 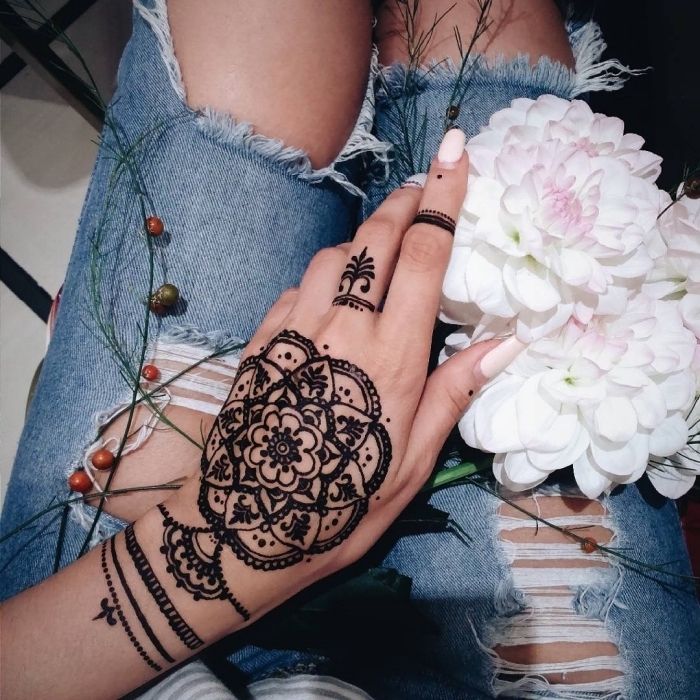 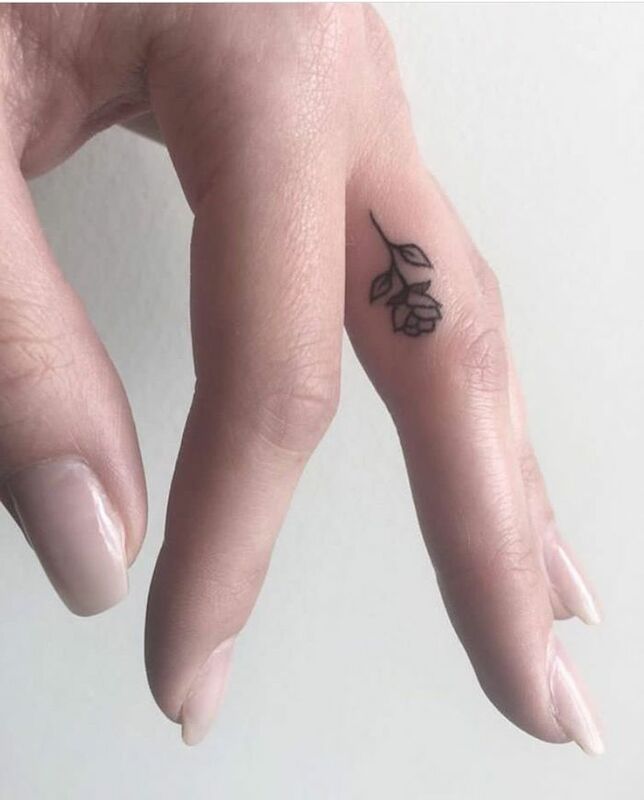 Flower – The flower is a commonly chosen motif for finger tattoos. 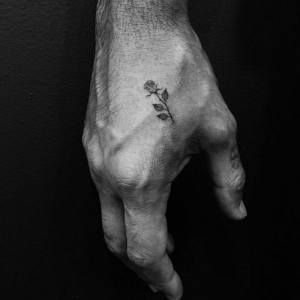 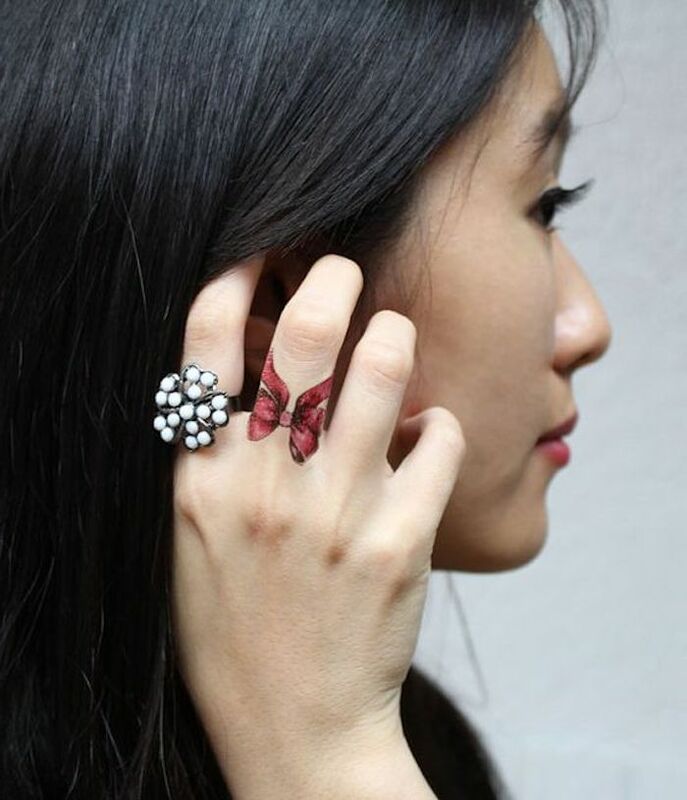 In general, it symbolises femininity, vitality and youth, but each flower has a different symbolism. 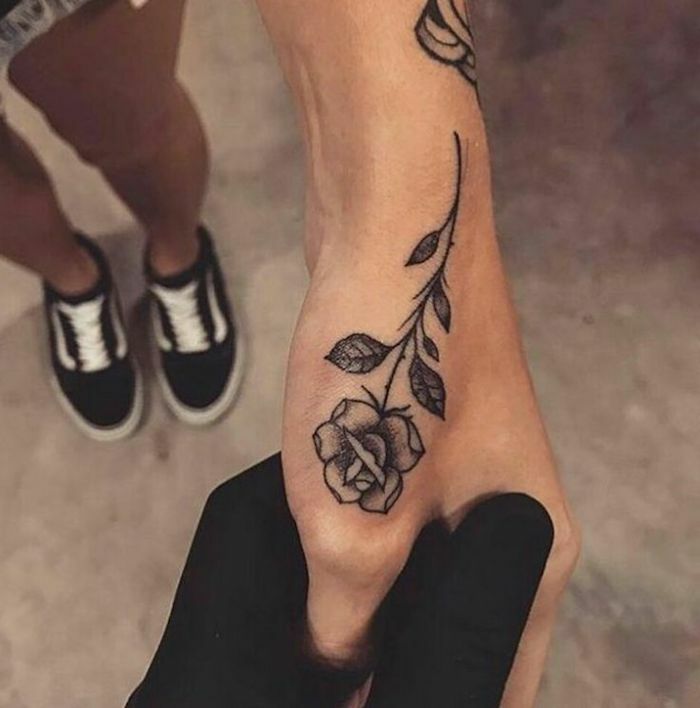 In our picture gallery you can see how delicate and elegant roses, lotus and tulips look as tattoos. 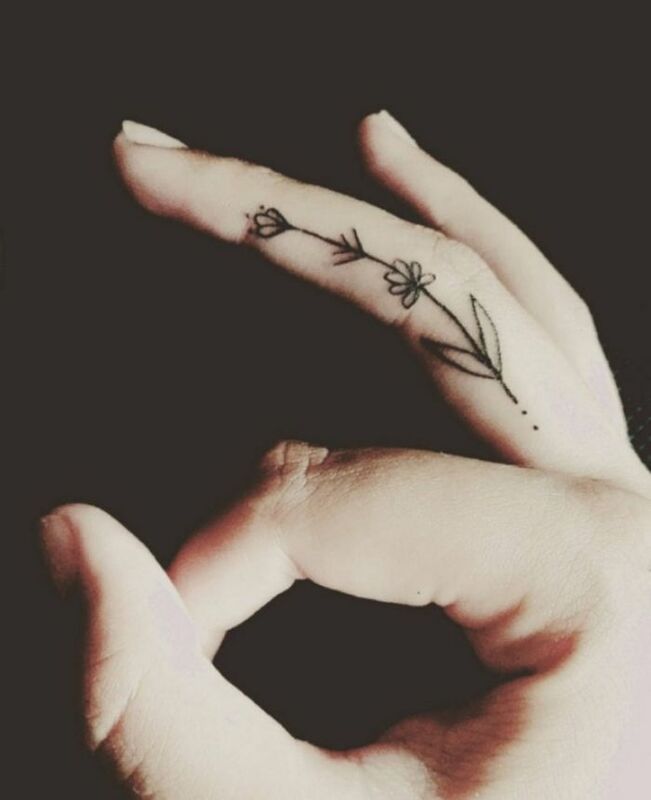 Furthermore, each of these three flowers has a deep symbolic meaning. 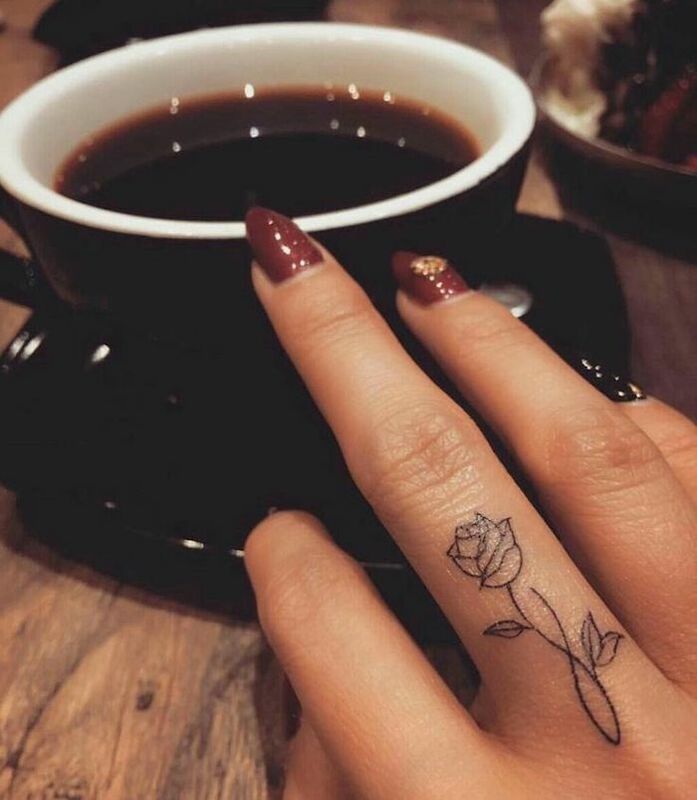 The rose symbolises love and passion, the lotus – innocence and perfection and the tulip – joy of life and optimism. 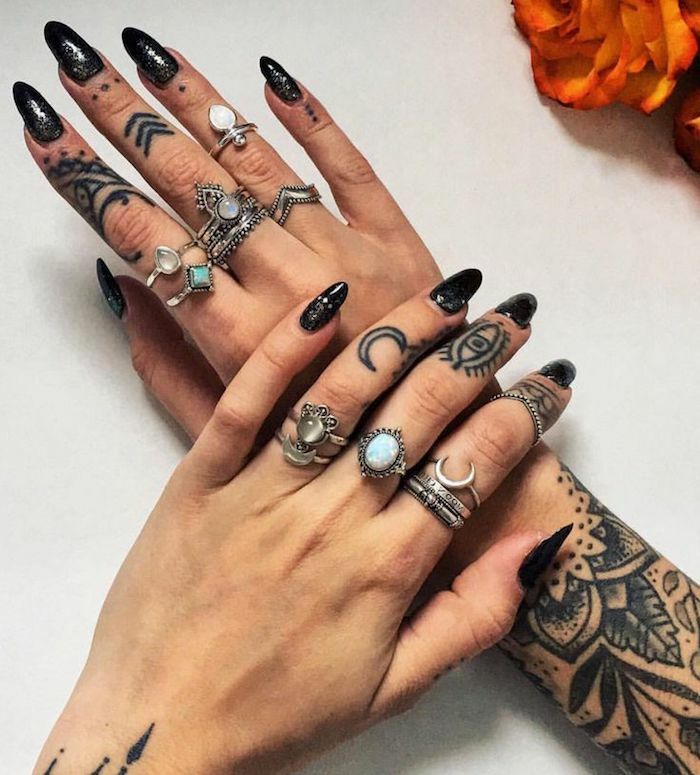 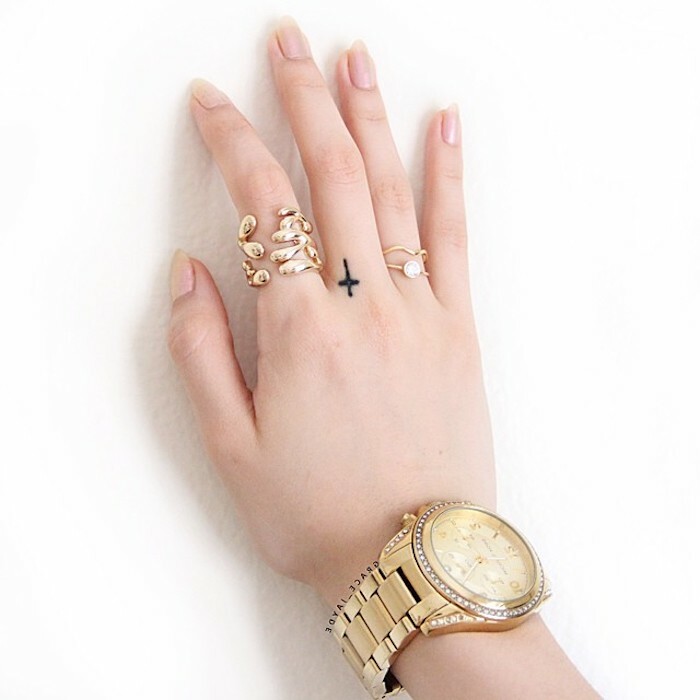 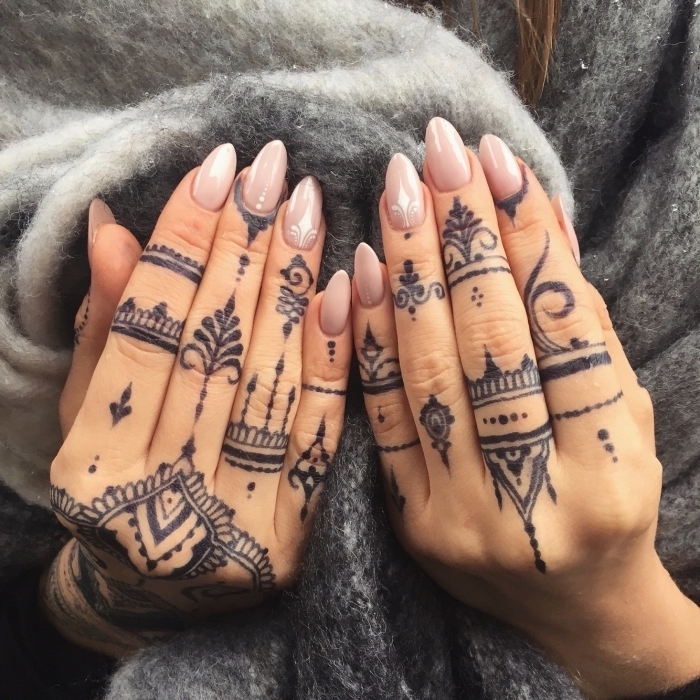 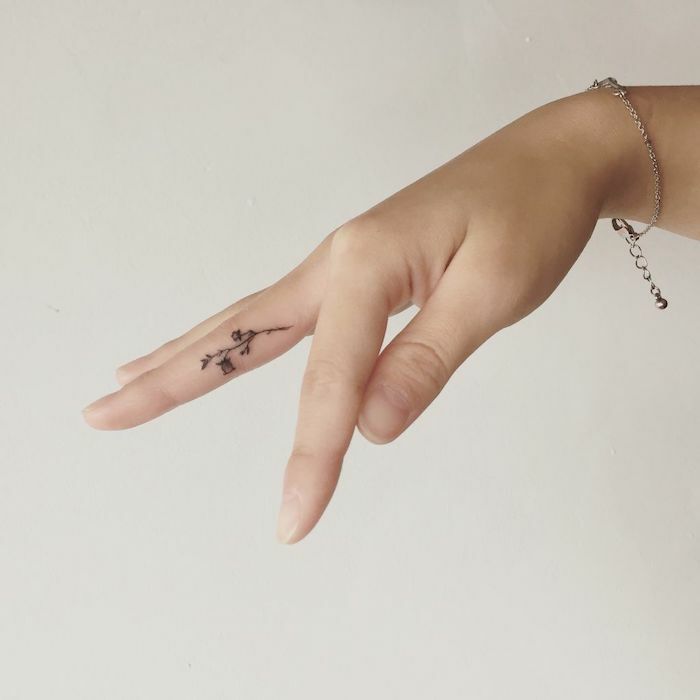 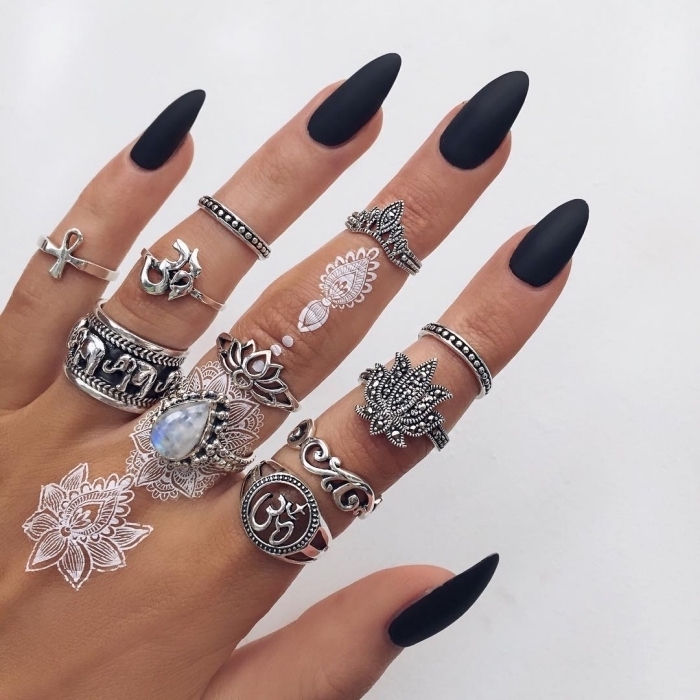 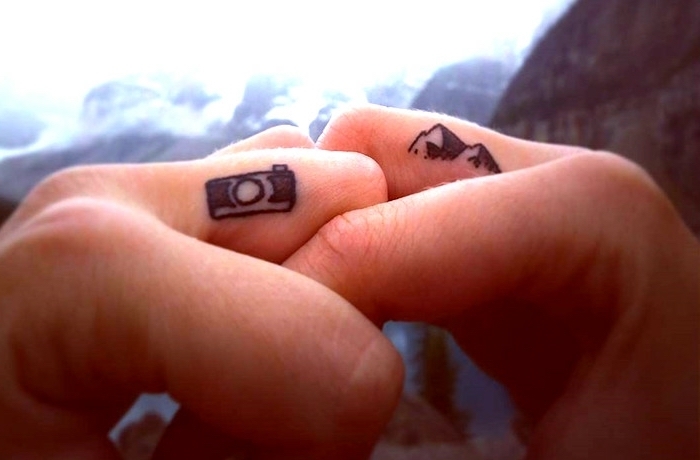 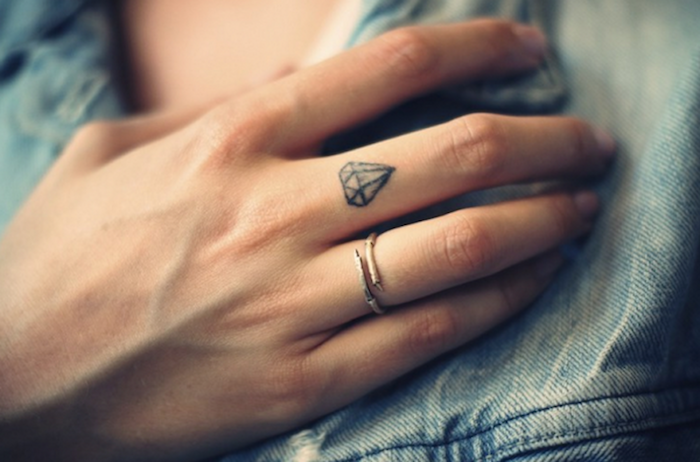 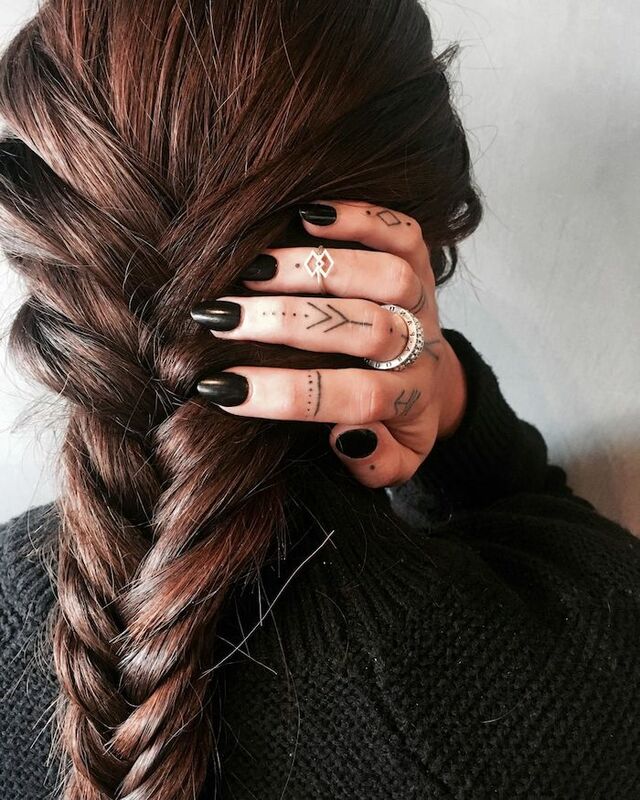 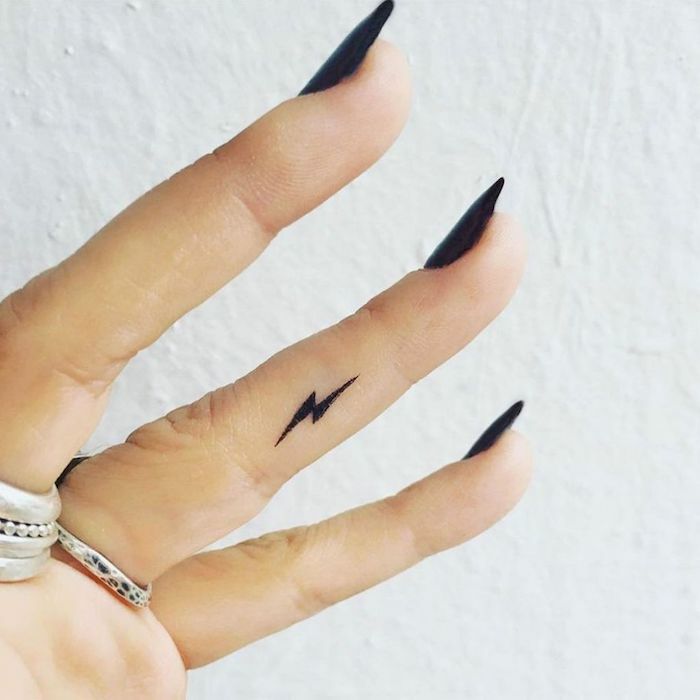 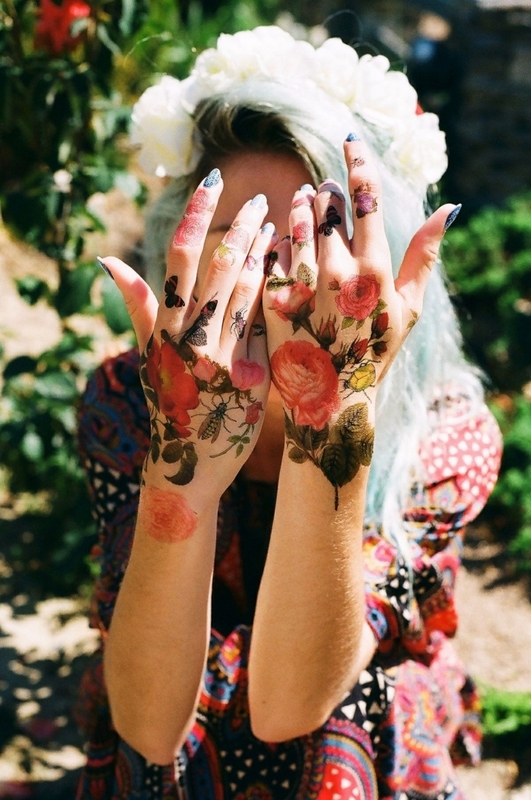 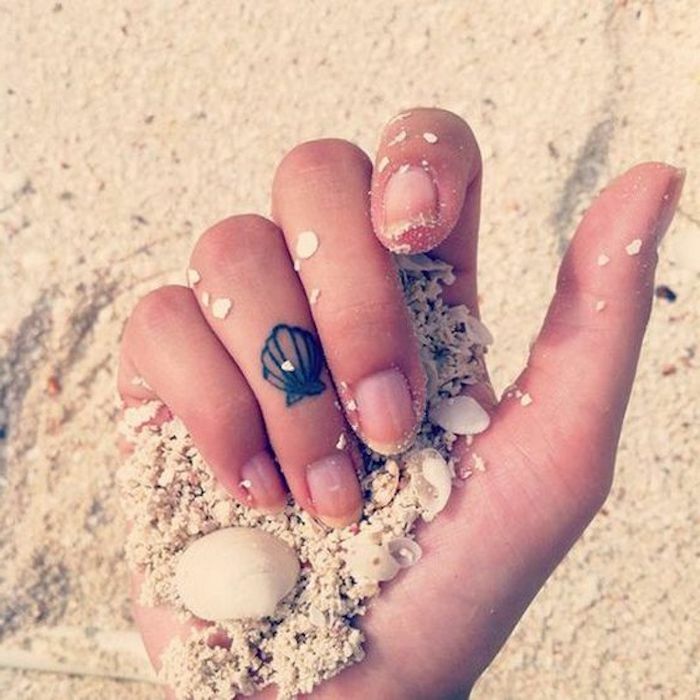 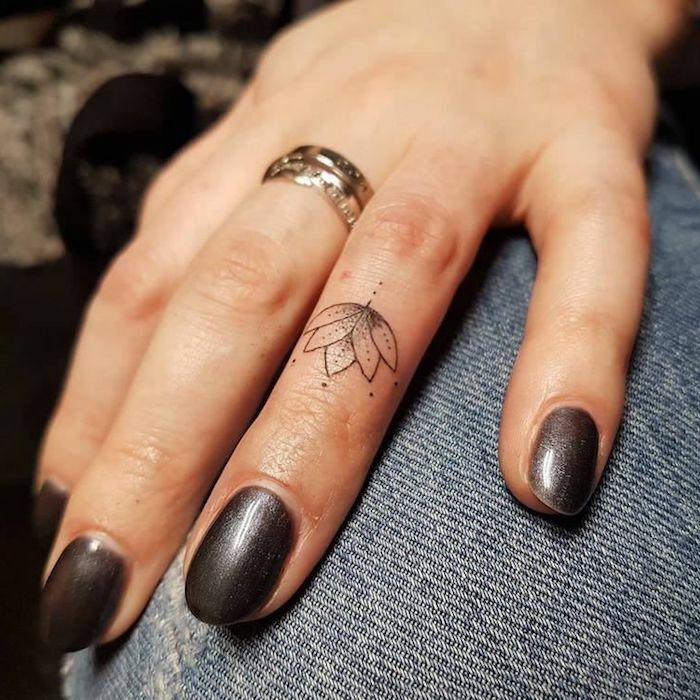 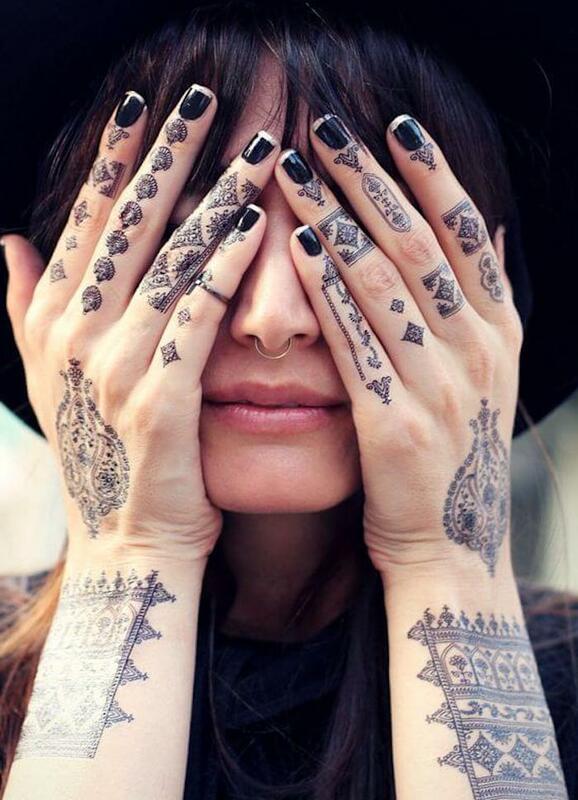 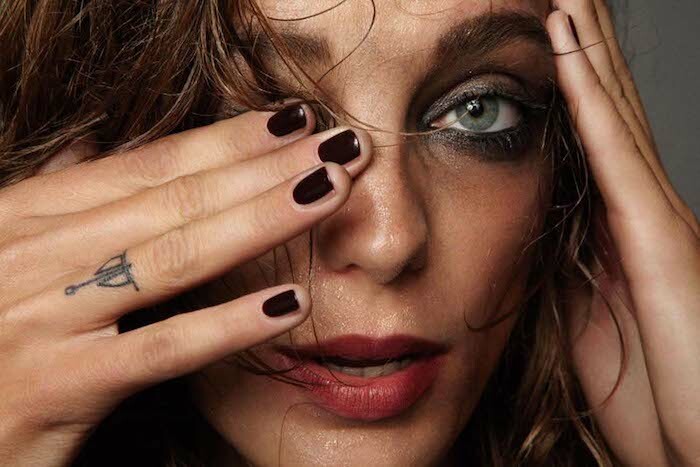 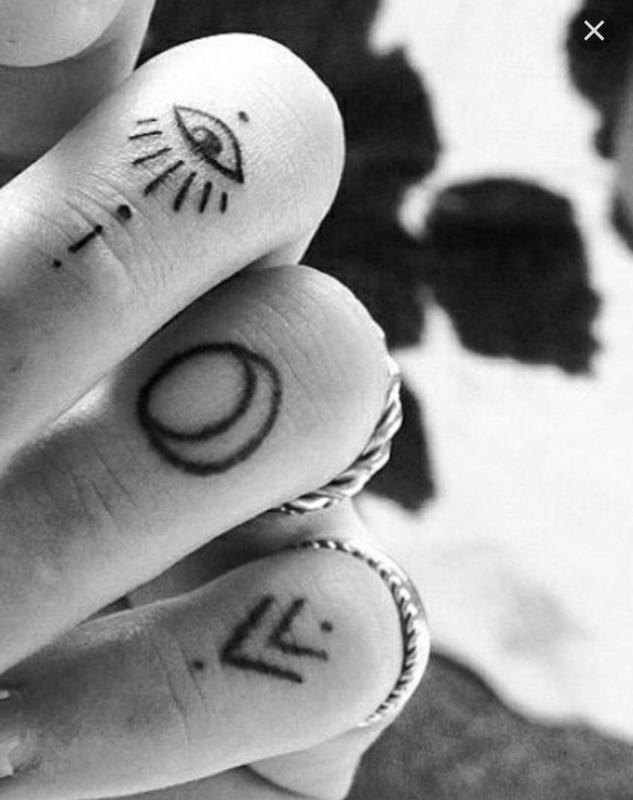 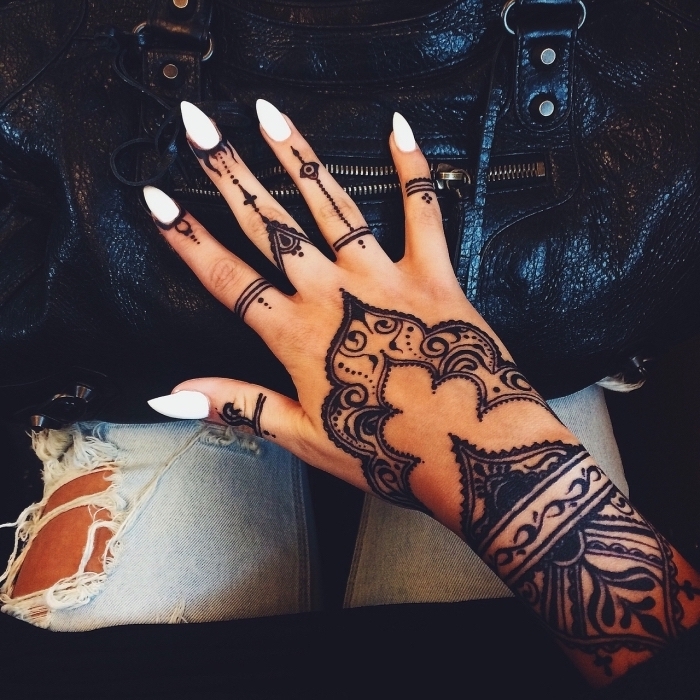 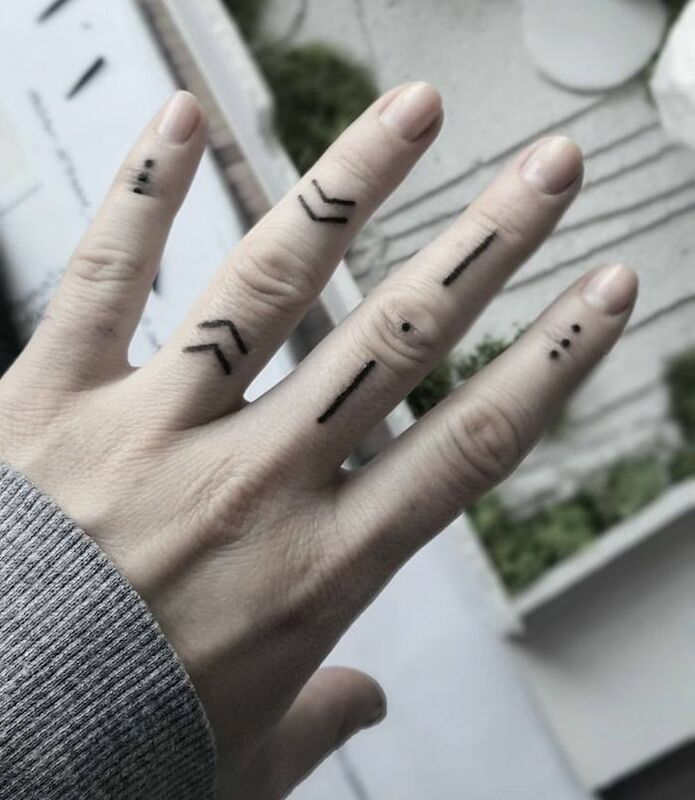 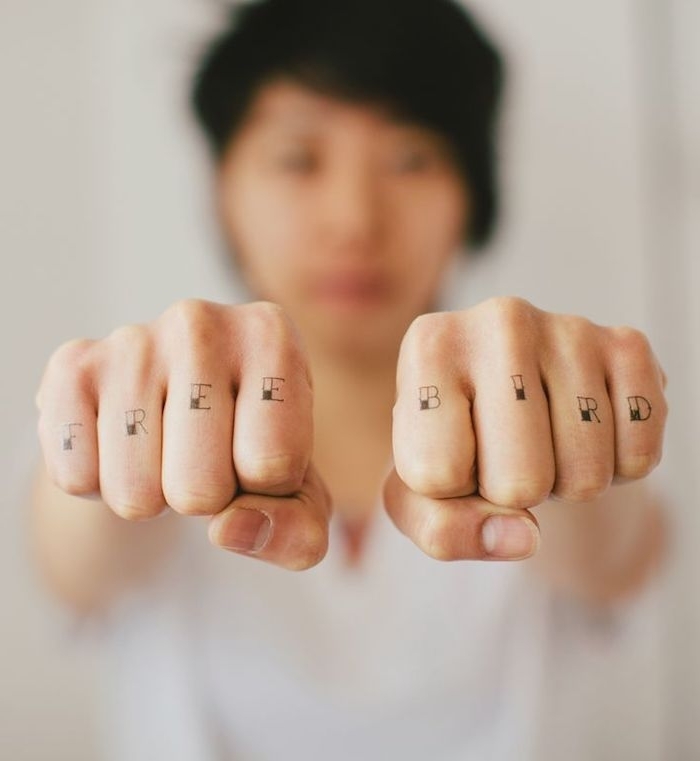 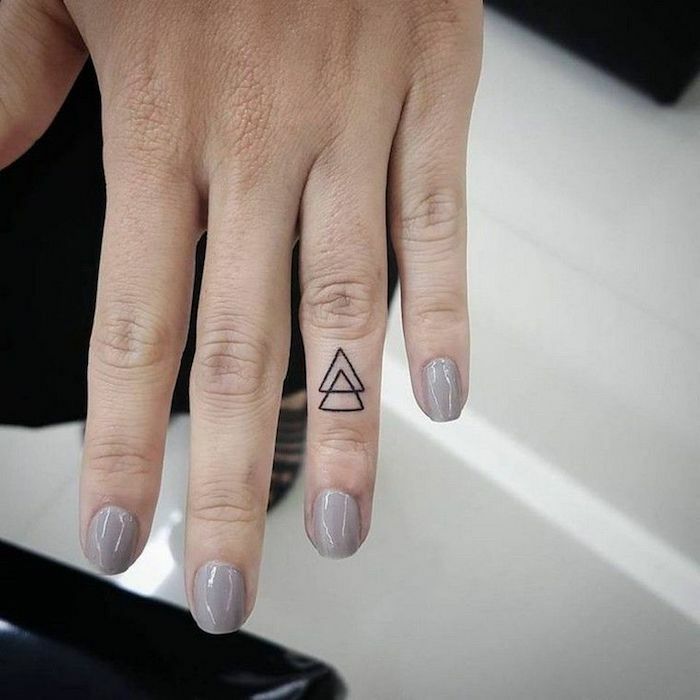 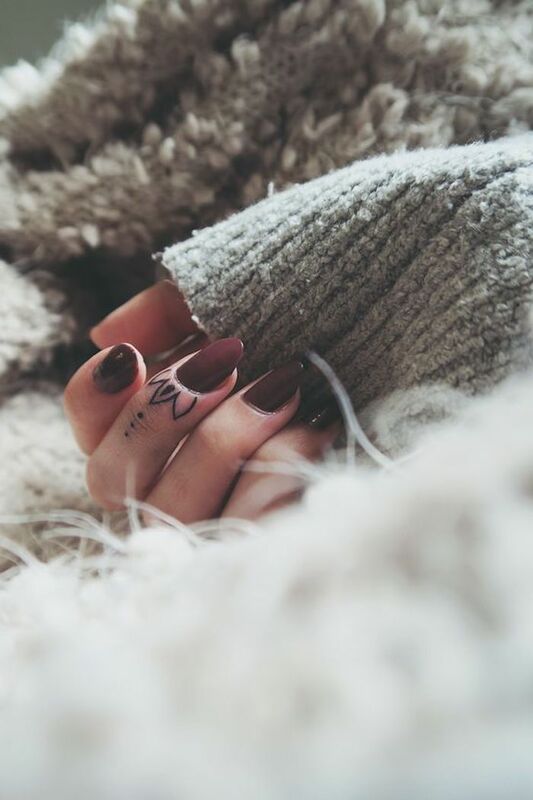 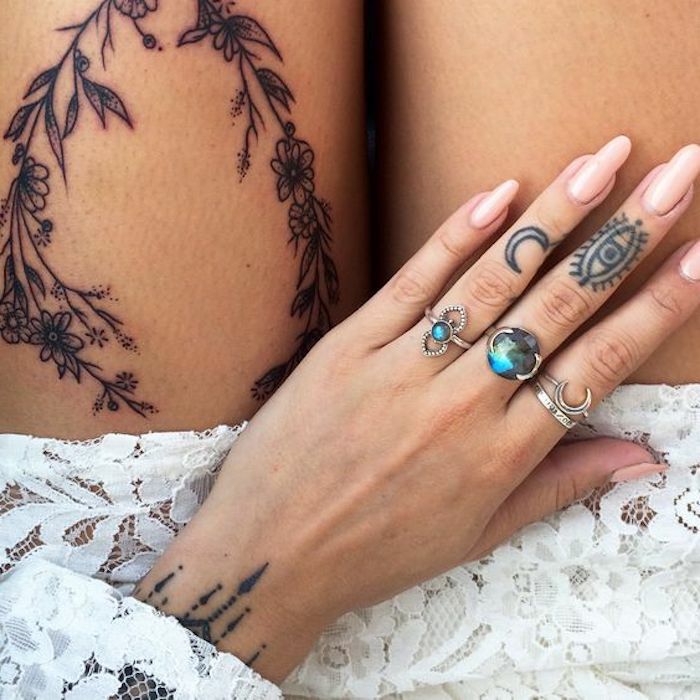 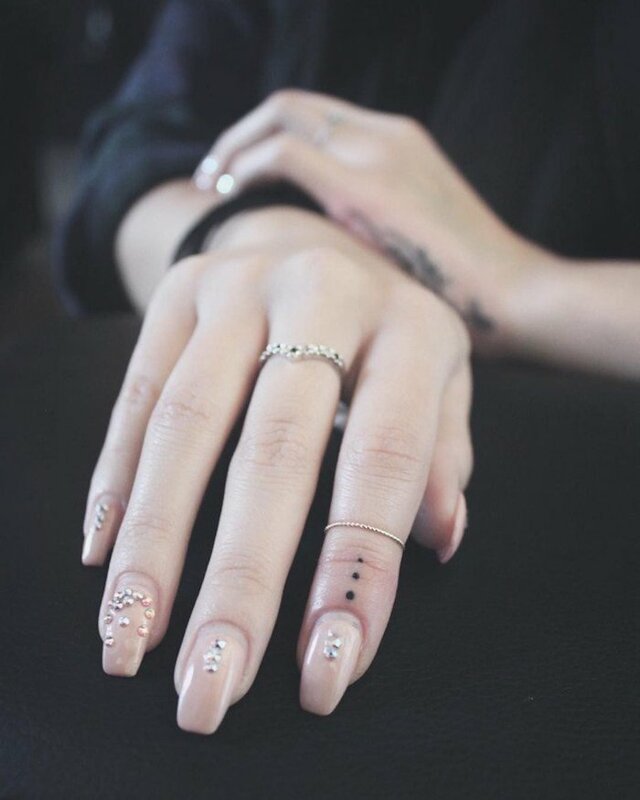 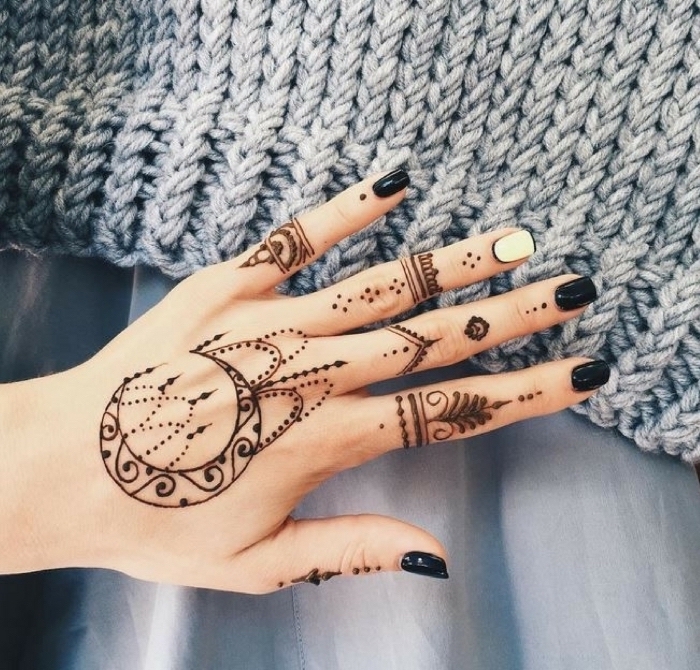 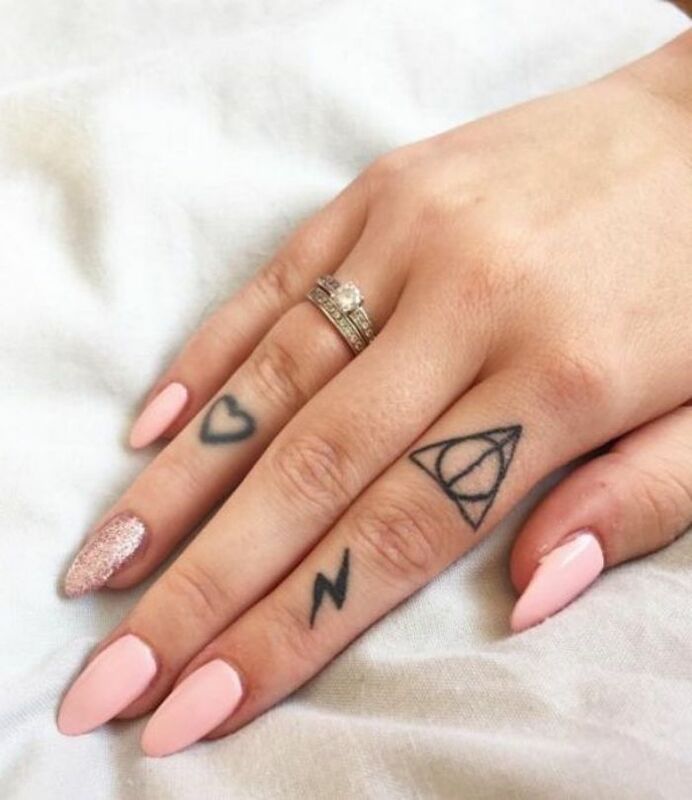 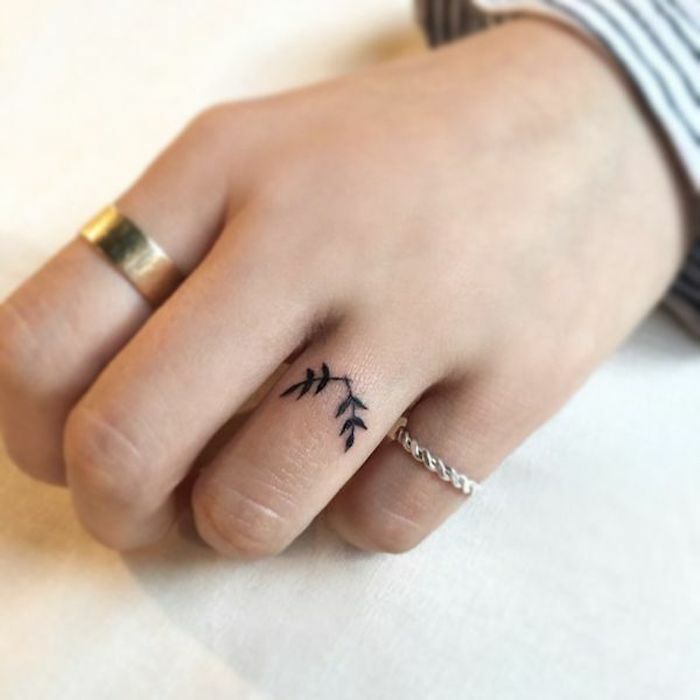 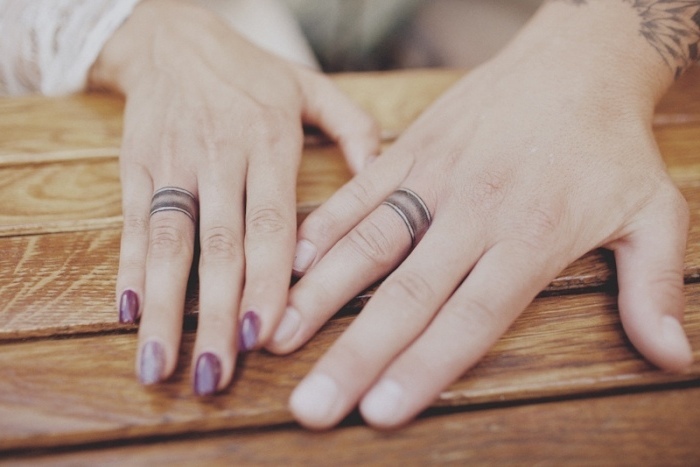 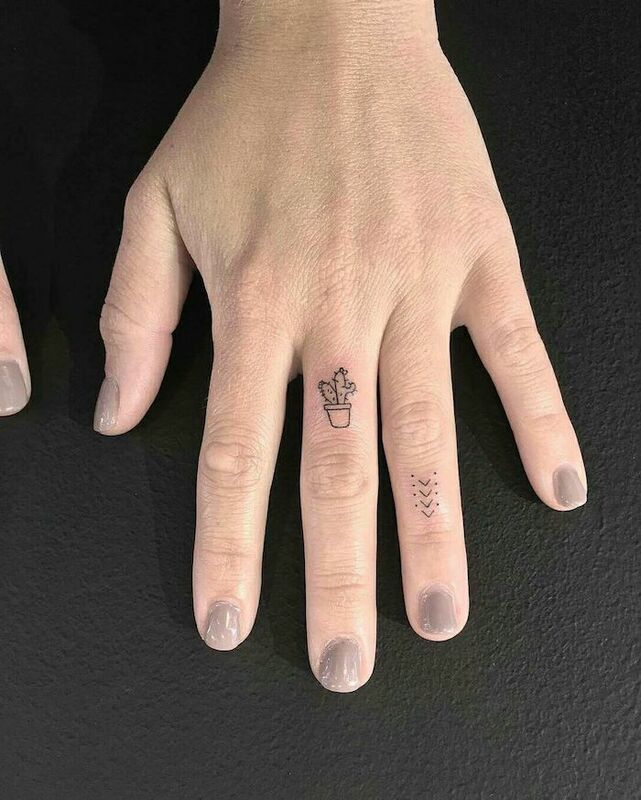 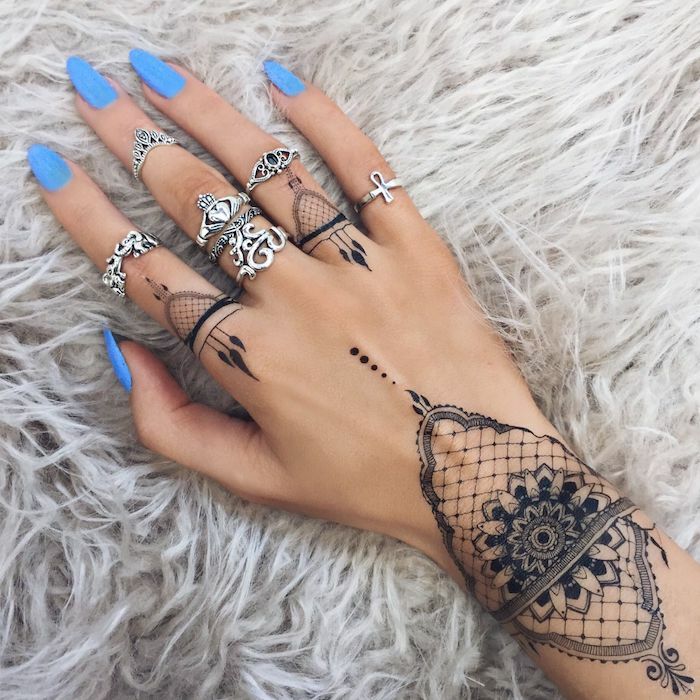 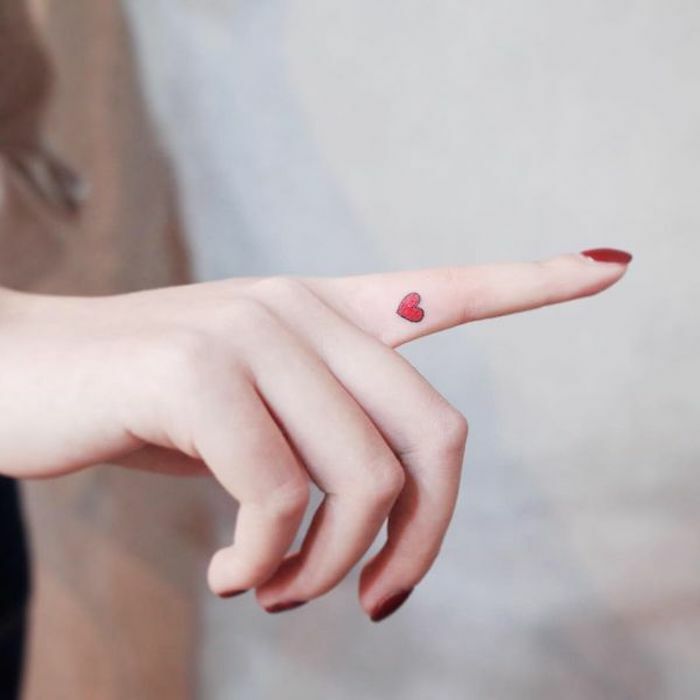 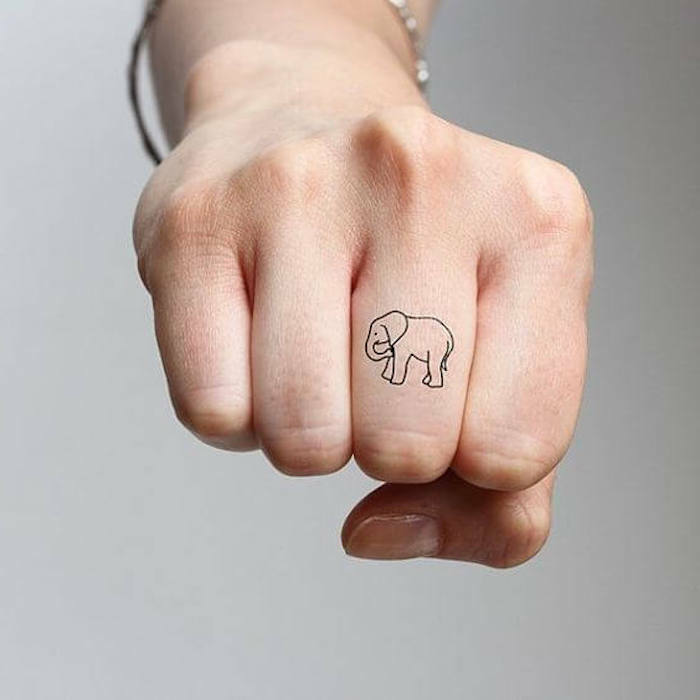 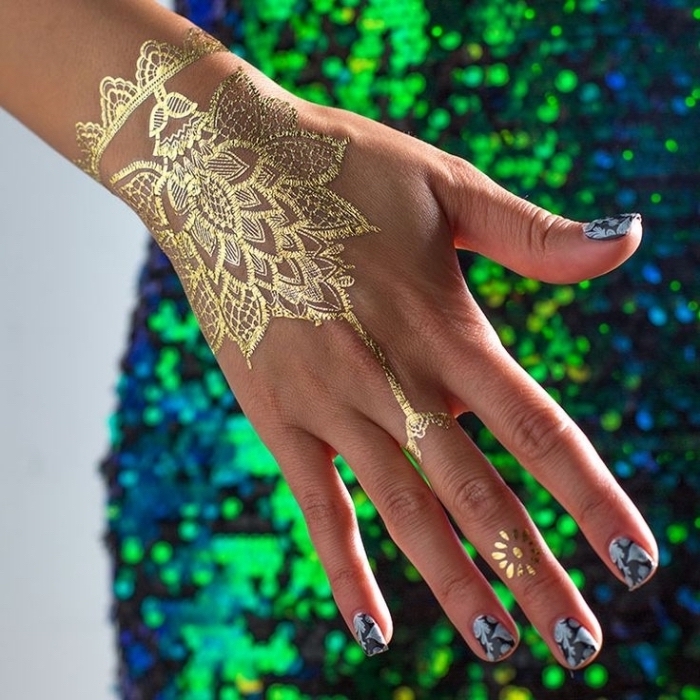 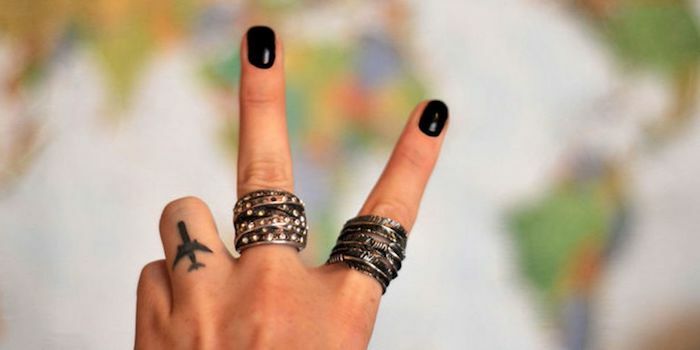 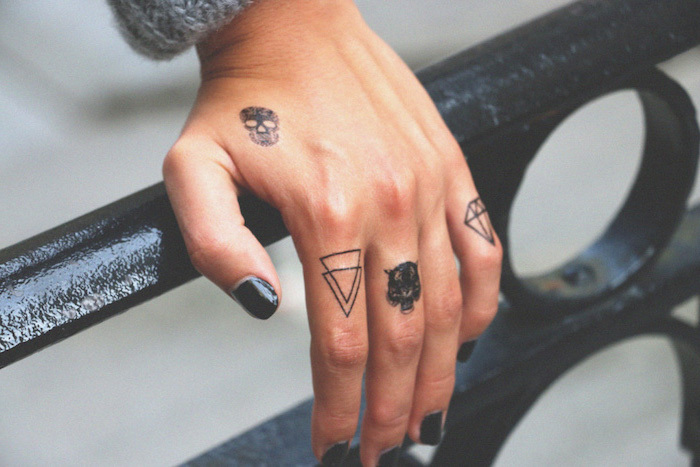 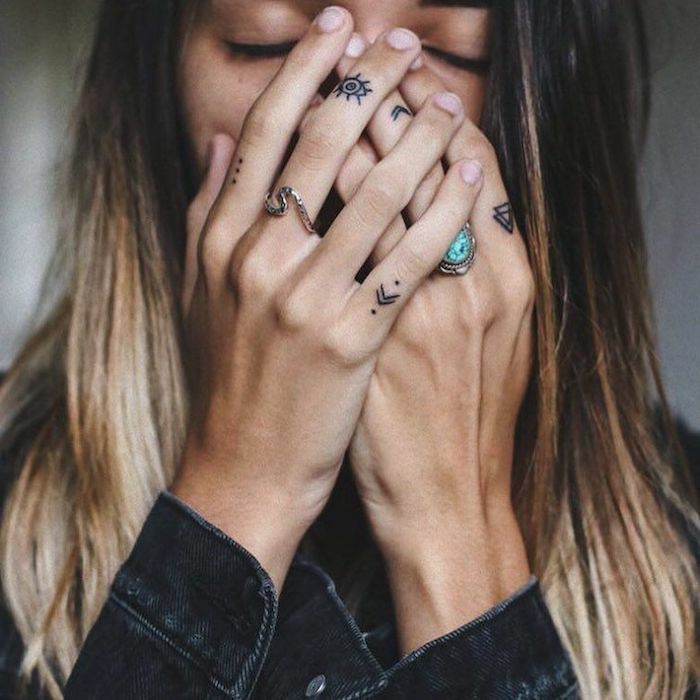 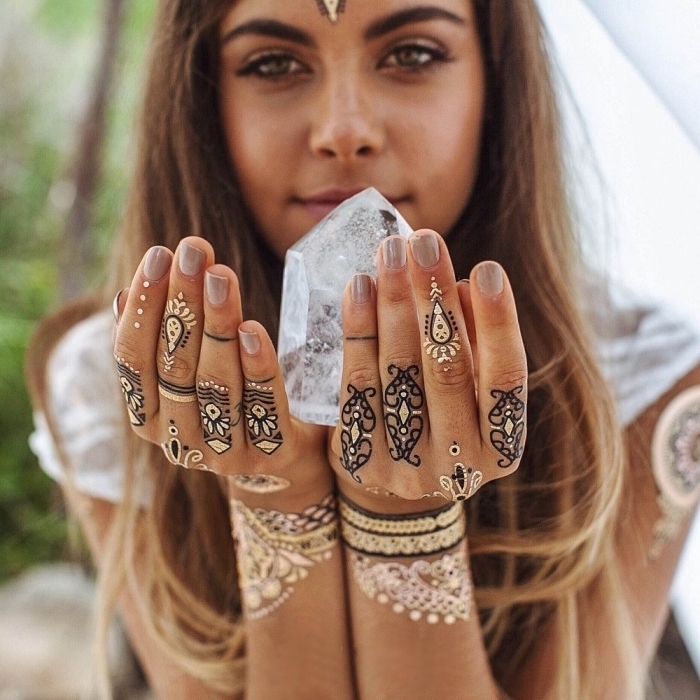 Get inspiration for your next finger tattoo! 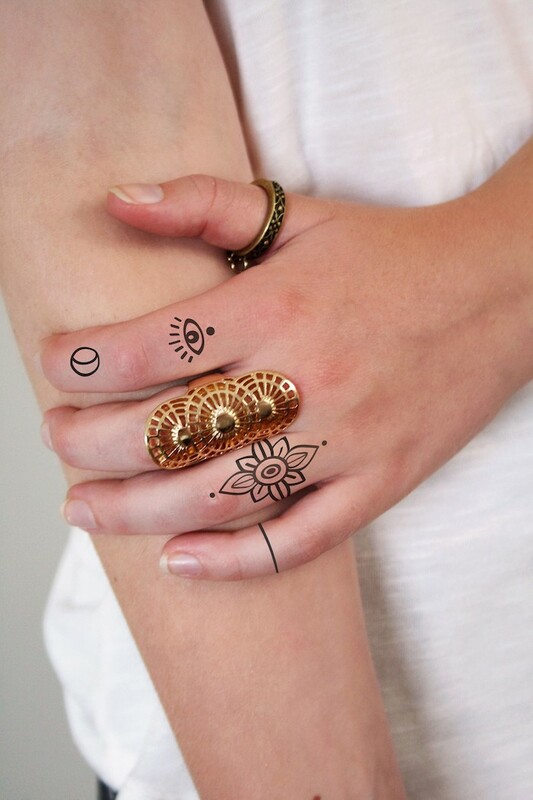 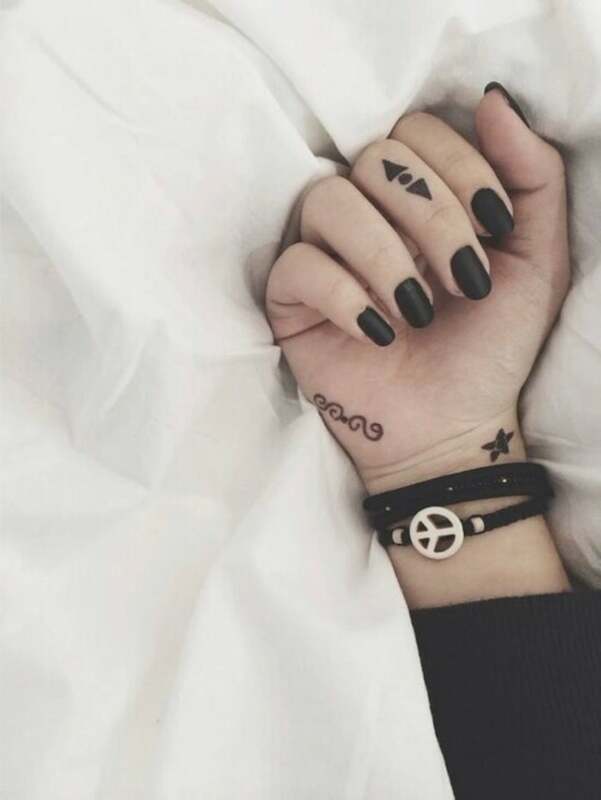 Which tattoo motif would suit you?